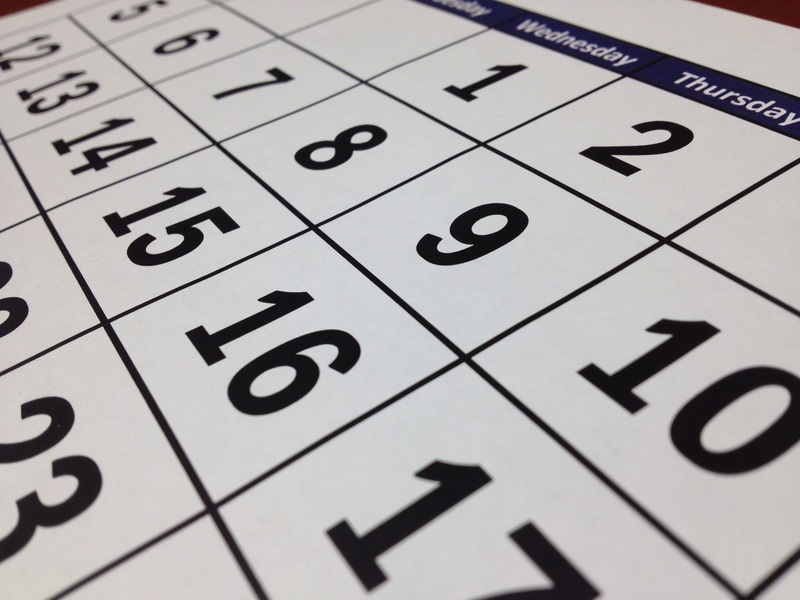 This is your exhaustive list for how to maintain your HVAC’s lifespan, month by month. This monthly HVAC plan will help keep your electricity and gas bills low, extend the life of your HVAC unit, and help you schedule regular maintenance checkups. Look, we all know January is the worst, and Greenville South Carolina is no different. Cold and rainy, this month drags on for forever but that doesn’t mean you should punish your HVAC too. This month can see rain, snow, and even the occasional burst of heat. Your monthly HVAC plan needs to keep that in mind. All of that variation in temperature can put a wear on your HVAC system. Make sure to maintain a consistent temperature, use a wood burning fireplace to help you heater if you have one, and keep a blanket with you to stay warm. Remember, extra layers are free, but you have to keep paying for heating in your home! Schedule a maintenance checkup this month to start the new year right! February is the sad brother to January, and your monthly HVAC plan should take that into account. Similar to last month’s, this month is dreary and cold. Keeping your HVAC to a set temperature can help ensure comfort though, and lower temperatures can dramatically reduce energy bills. Keeping the thermostat to 68 is a great temperature for both your comfort, and your wallet. Check up on your vents and air filters this month, make sure everything is clean with no leaks! March is the start of the wonderful weather! This monthly HVAC plan focuses on taking advantage of the occasional burst of warmth. Open up those windows and enjoy it. Occasionally letting your HVAC system take a break from heating and cooling can extend your HVAC’s lifespan immensely. Now is a good time to check your humidity levels, after months of cold weather has dried out the air it would be worth investing in a humidifier. April showers bring… a good time to check the seals on your roof, and gutters! Your monthly HVAC plan for April should focus on the little things to prepare for warmer weather. Make sure your curtains are in tip top shape to block the incoming rays from the sun. Go ahead and schedule another regular maintenance to check up on all of your air conditioning systems, to best prepare for the coming South Carolina weather. For roughly 25% of the population, this is a wonderful month. Flowers are blooming, birds are chirping, trees are green, and grass is growing again. For me, it is not. Allergies are the worst this time of year, and they do not stop. With this much more in the air, it should be your monthly HVAC plan to replace your filters at the end of the month. This will keep them from recirculating allergens in your home. Keep your AC from overworking itself by fixing it on a reasonably high temperature, like 72. Now is when the Greenville SC heat really starts to kick in. June has high temperatures above 85, and southern heat comes with a lot of humidity. It is worth installing fans or other items to keep air flowing, opening windows and installing a dehumidifier if your house is too humid. If you are the type that requires cold to sleep, it is worth letting the house heat up during the day, and scheduling a time to engage the air conditioning at night. A smart thermostat can help make sure your don’t cool excessively early in the morning as well. Your monthly HVAC plan should focus on keeping a comfortable and affordable heat and cool cycle in your home, and preparing for the next few months. The heat is really kicking in now. Keep an eye and an ear on your HVAC unit, especially your outdoor unit. Check up on it to make sure that it is still running optimally, and don’t hesitate to get a General Air of Greenville S.C. to check up on it. With your AC running so hard, it is also important to keep an eye on any condensation buildup in your home. Your monthly HVAC plan should be to simply maintain, this month is one of the hardest on your HVAC system. Now that the summer is starting to unwind, it should be your monthly HVAC plan to prepare for dipping temperatures. The reason you want to prepare now, when you don’t need it, is that repairs and replacements are cheaper when you arrange them in warmer weathers. Keep up with your plans to reduce your energy spending and look to replace your air filters. September can see chilly temperatures, but it is important not to have your thermostat fluctuate too wildly. Your monthly HVAC plan should be to keep consistent. Greenville SC’s temperatures during this month can actually be quite pleasant, open some windows and enjoy. Don’t forget to keep your outdoor units cleared of any leaves with a light hosing. Now the Southern Chill can set in. It is important to stay consistent, and change to heating your home no matter the temperature. Open windows on nice days to allow your HVAC to take a break. Your monthly HVAC plan should be to set a comfortable temperature for the winter, and stay consistent with it! Buy some blankets to prepare. Your monthly HVAC plan for November might sound a bit strange, but it can help – Clean your windows! Cleaning your windows can allow more sunlight in, reducing your heating costs dramatically. It’s as simple as that. Now it is time to test your mettle. Get your blankets ready, start up your real wood fireplace or furnace if you have one, and get comfy. Brew some coffee or tea, and try to keep your thermostat lower than 68 for optimal efficiency. Keep an ear out on your heater too, since it will be working harder than usual. If you find your house is consistently colder than it should be, check the house for insulation issues, which could keep your heater from working properly.